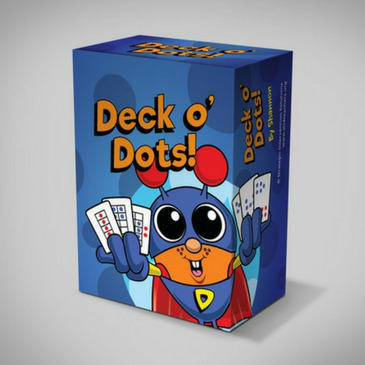 Deck O’ Dots is a versatile deck of cards featuring Dotson, a member of the Math Mights gang! 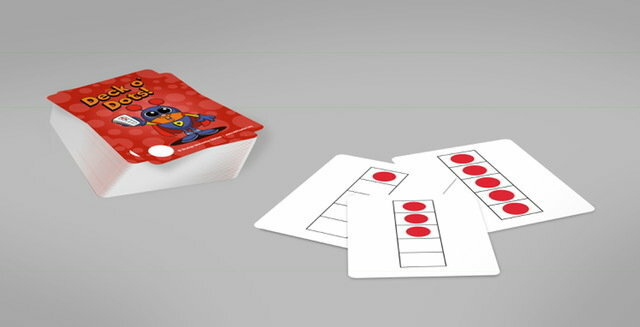 The deck is specifically designed without “digits” to help children to subitize (instantly recognize number quantity) in order to develop higher order thinking skills in mathematics. There are three distinct levels indicated by different colors within the deck to help differentiate and meet the needs of all learners. Red Cards: For children learning how to subitize (instantly recognize) arranged quantities to 5 within the five frame structure. Yellow Cards: For children learning how to subitize (instantly recognize) arranged quantities to 10 within the ten frame structure. Green Cards: For children learning how to subitize (instantly recognize) scattered quantities through 10. The cards with quantities 6-0 have a star on Sam’s cape. Look for the stars to help you sort the deck easily from 0-5 or 6-10. How many should I get? A set of 5 is ideal for small group work. 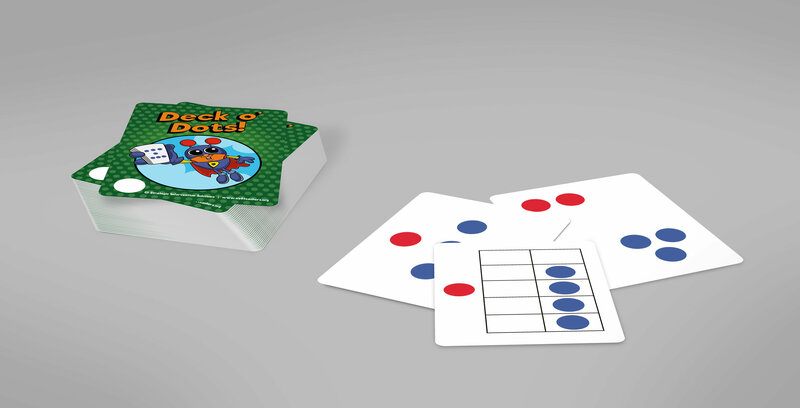 An individual deck is great for use at home or in an individual instruction/intervention situation. 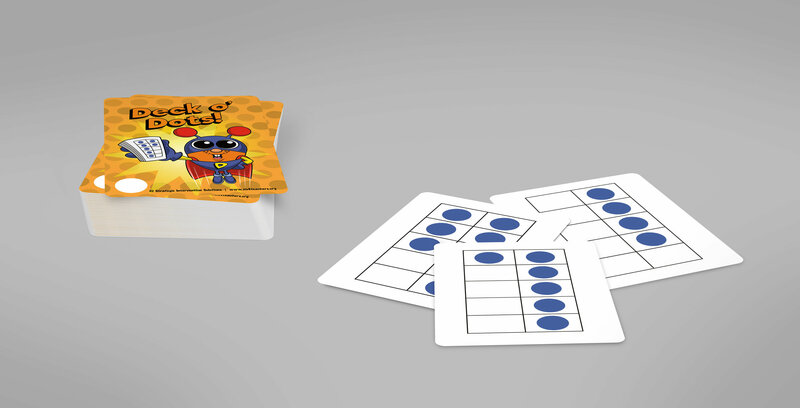 Also available as a Class Set (15), which includes 1 license for free digital download of Deck o Dots Games: Complete Bundle!